The words and phrases associated with our country will come alive while playing this bingo game. 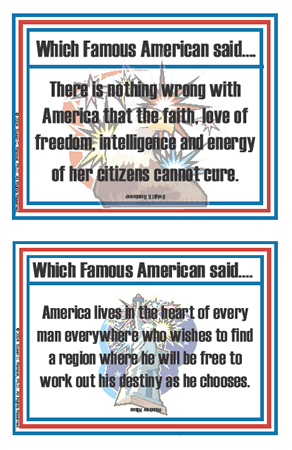 It’s a great way to memorize quotations and learn about American History. Flash cards are a fun way to learn Famous Quotes!